Pittsburgh sees their share of rain and snow. On average, Pittsburgh receives 38 inches of rain and 27 inches of snow per year. Couple that with its natural topography and you have a good chance that your yard could become swampy. Swampy yards are often caused when there is too much water to be absorbed into the ground from roof and hillside runoff. What Could Happen If You Have A Swampy Yard? Who Can Help You With Your Swampy Yard? The Pittsburgh Drain Guys, of course! 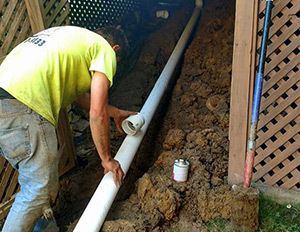 We are experts in residential and commercial French and Curtain Drain installation as well as drywall and sump pump placement. 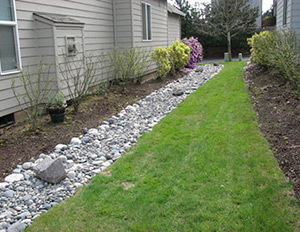 We can solve your runoff issues and put an end to your swampy yard. Pittsburgh gets 151 days of snow and rain per year, which is the fifth most in the United States. That’s more than Seattle.